Opiates are drugs that produce a rush of intense pleasure, followed by a sense of well-being and a calm, drowsy state. Opiates are processed from opium, a chemical which is derived from the naturally occurring chemical morphine, which is found in the poppy plant. Opiates include the drugs heroin, morphine and codeine. All of these drugs are highly addictive and cause many health problems. Long term effects of opiates include collapsed veins, cellulitis, heart failure and abnormal brain wave patterns. Opiates are among some of the leading common drugs of abuse today. Opiate generally refers to any drug that is derived from the opium poppy, including the natural products, morphine and codeine, and the semi-synthetic drugs such as heroin. Opioid is more general, referring to any drug that acts on the opioid receptor. 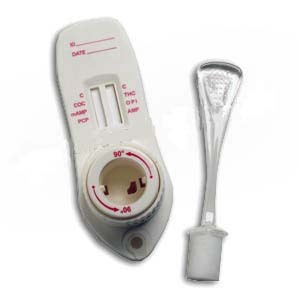 Click Here for Multi-Panel Drug Tests (to test for 2 to 12 drugs in one test).